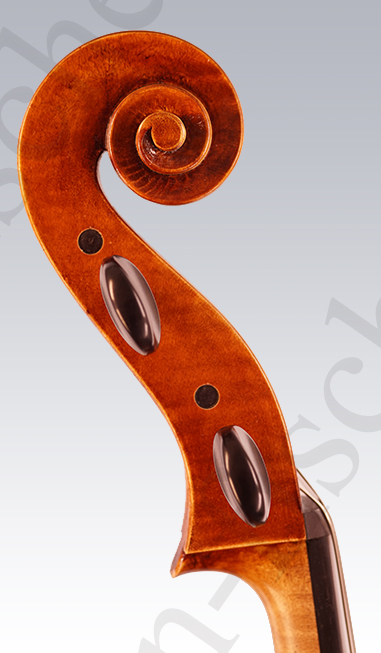 The latest Cello from Lena Fischer modeled after Florenus Guidantus, Bologna 1738. 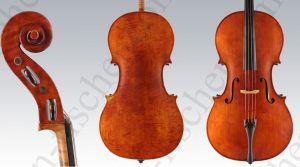 This Cello was sized in November 2016 and then left for sundrying on days of good weather for more than one year. 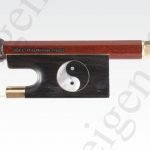 It has now a wonderful natural sun grounding. 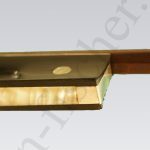 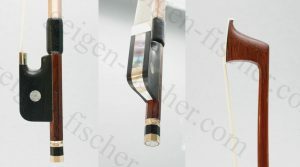 Its transparent varnish consists of eight layers, which have been applied carefully over one year. 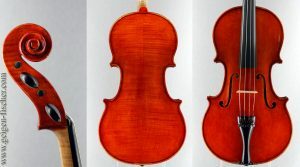 The cello was brought to sound the first time in May 2018. 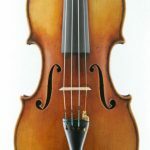 It has a balanced and warm sound character on all four strings. 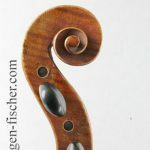 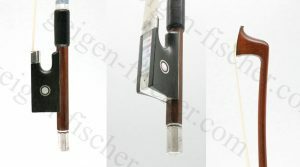 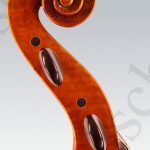 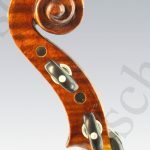 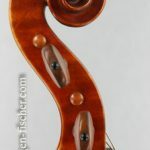 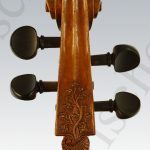 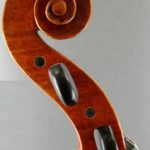 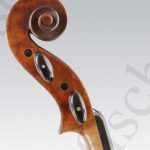 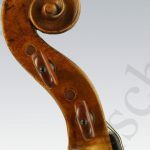 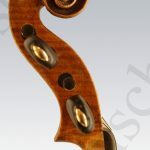 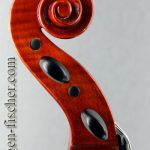 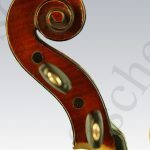 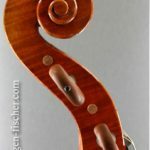 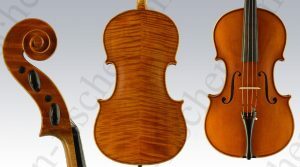 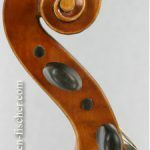 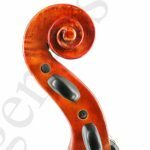 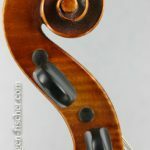 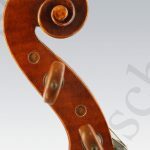 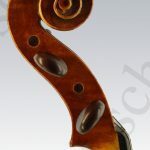 This is already the fourth cello from Lena Fischer, made out of the same stem from Bosnian Maple. 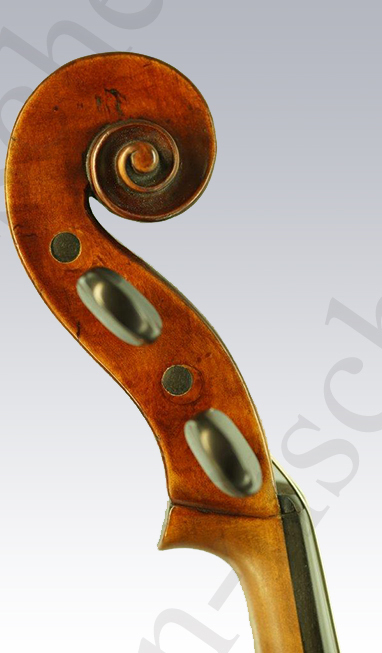 All cellos were modeled after Florenus Guidantus, 1738. (Quote: Adolf Layer in his publication Die Allgäuer Lauten- und Geigenmacher / The Lute and violin makers of the Allgaeu) . 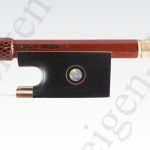 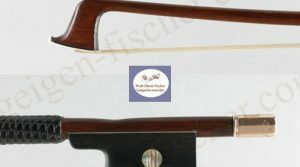 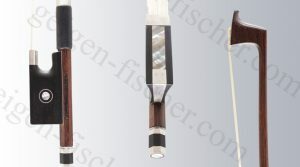 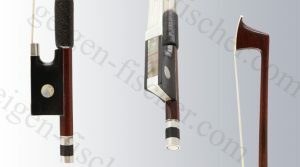 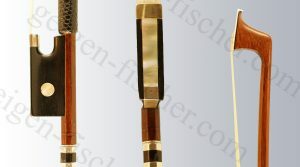 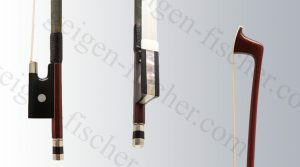 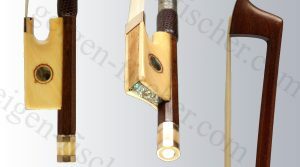 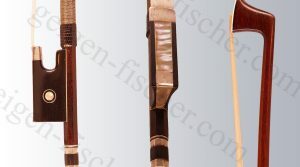 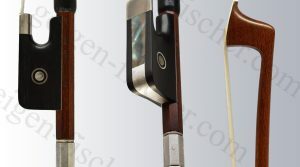 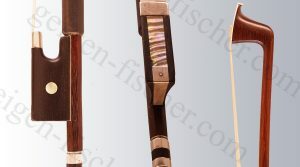 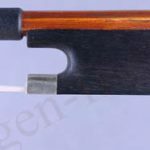 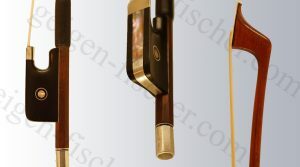 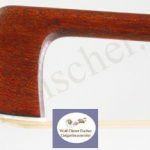 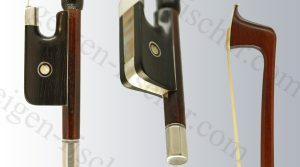 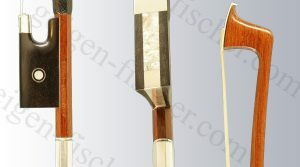 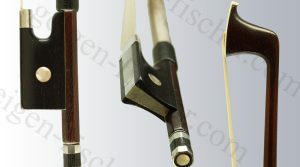 In 2012 the Association of German Violin and Bow Makers (VDG) organised an exhibition about violin makers in the town of Augsburg, where five instruments from Gregor Ferdinand Wenger were on display. 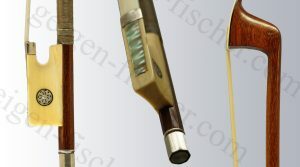 The VDG also published an illustrated book from the exhibition, featuring the Wenger instruments. 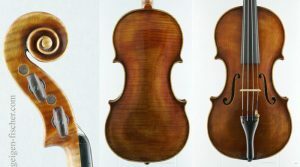 What is special about this violin is the original label in its perfect condition. 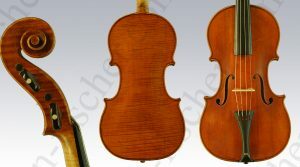 Also, the violin has very special measurements and a length of back of just 34.6 cm, which makes it very handy for smaller hands. 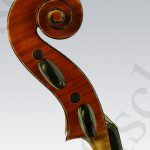 In addition the cello is stamped on the inside. 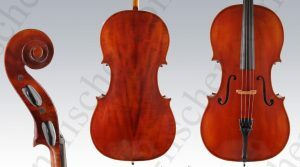 The cello has a beautiful sound and can be handled just like a full-size instrument. French violin bow by Mars Auguste Husson (Paris) from 1925. This bow from M.A. 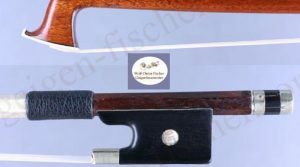 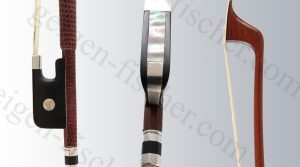 Husson is very special as it has no traces of wear and tear, a strong stick and a total weight of 59 grammes with the original German silver mounting. 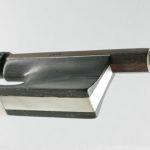 With a normal silver mounting the bow weighs 61 grammes. 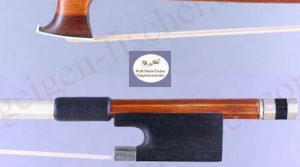 French viola bow by Nicolas Maire from his earlier days. 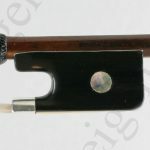 French viola bows from the time before 1850 are very rare and mostly too light in weight. 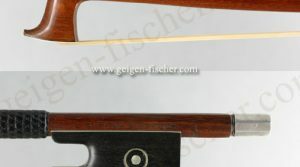 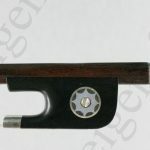 This bows weighs 70.5 grammes with a normal silver mount. 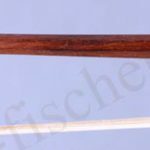 The quality of the stick is fantastic. The instrument also has the proportion of an Amati violin, which generally tend to be smaller. 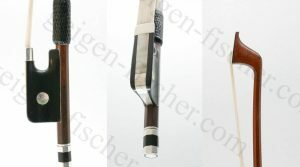 Its body length is 35.0 cm. 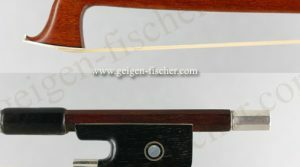 The violin is in perfect condition. 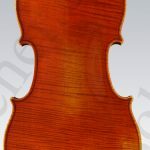 The violin is in an excellent almost new condition. 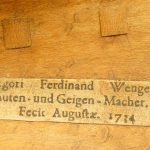 Some minor wear & tear traces can be found on its floor (see gallery). 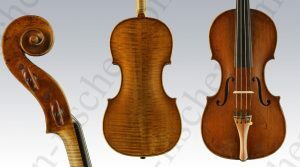 German Violin by Julius Vahlefeld from 1922. 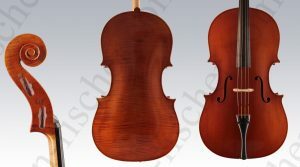 This violin bears an original label Gebaut im Jahre 1922 nach akustischen Prinzipien v. Julius Vahlefeld, Halver i. Westf. The violin has been fully refurbished in our studio. The instrument has a good, soft and round sound. 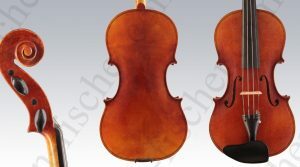 With a comparatievly short length of back of 35 cm, this violin is easy to handle and play. 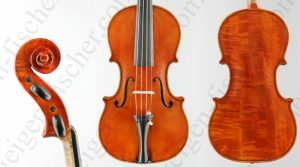 It is an attractive instrument in very good condition with good value for money. 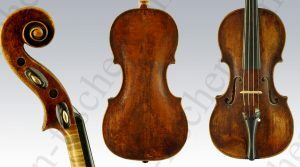 A fine French violin with the original label Schwartz Frères à Strasbourg, 1841. 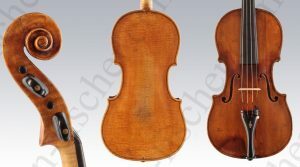 This violin was made by the brothers George Frédéric Schwartz and Théophile Guillaume Schwartz. 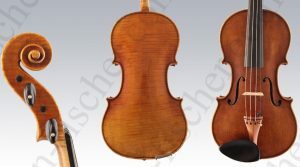 Both brothers ran a reputable violin making studio in Strassbourg, in the first half of the 19th century. George Frédéric Schwartz was the elder of the two brothers and also made bows besides violins. 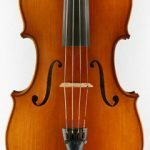 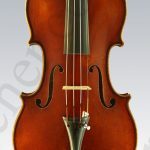 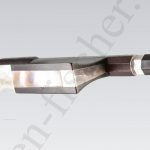 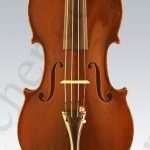 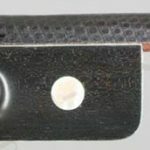 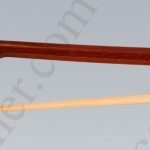 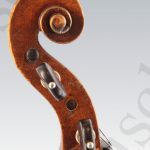 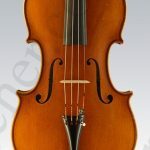 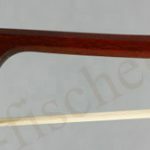 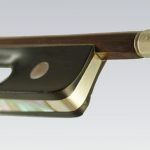 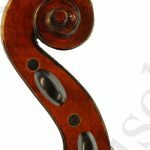 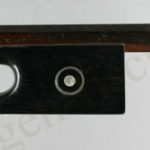 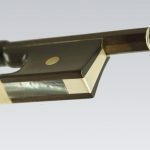 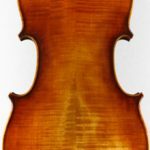 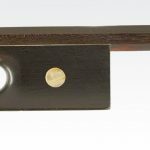 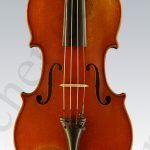 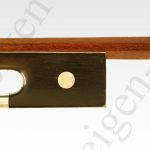 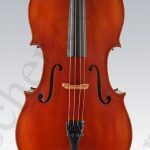 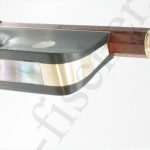 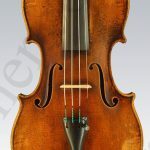 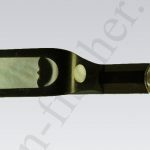 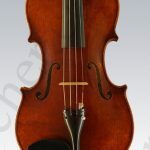 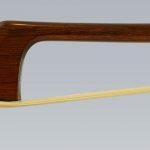 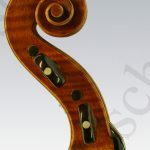 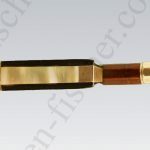 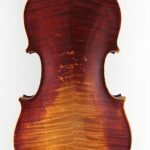 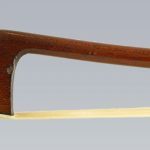 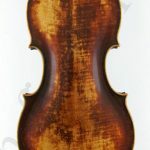 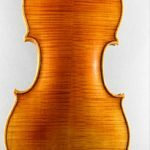 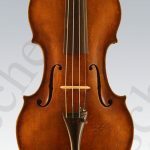 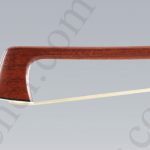 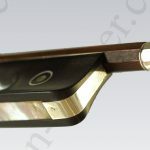 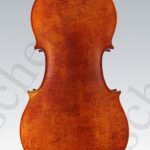 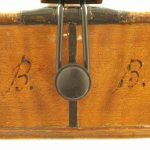 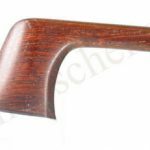 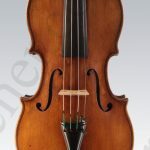 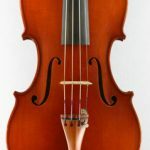 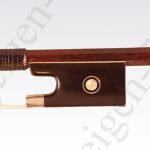 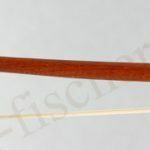 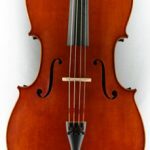 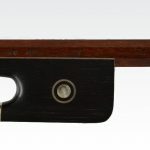 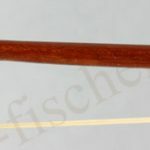 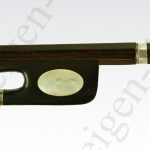 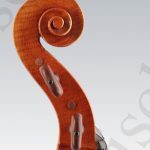 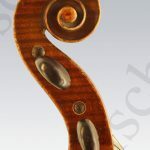 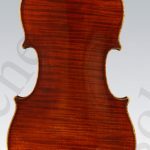 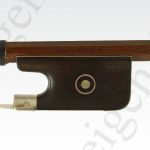 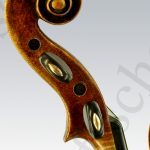 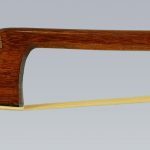 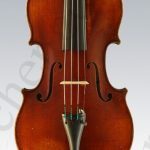 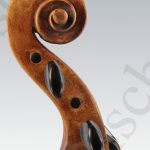 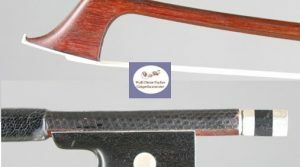 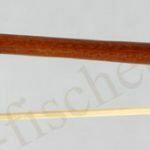 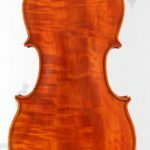 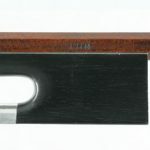 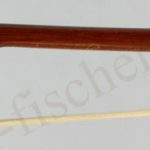 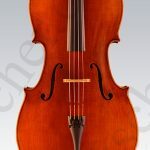 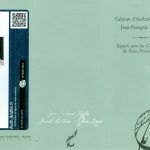 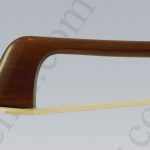 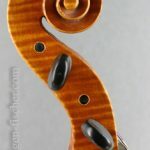 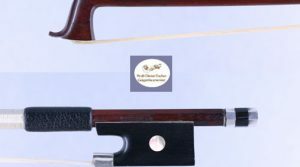 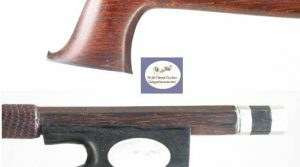 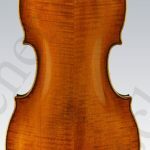 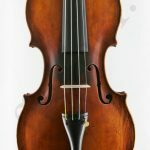 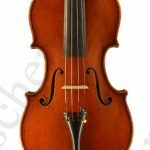 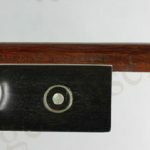 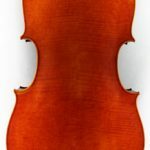 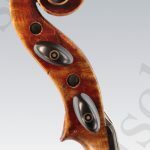 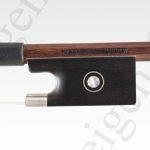 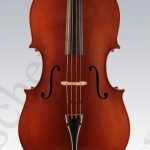 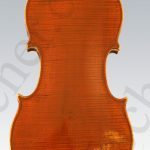 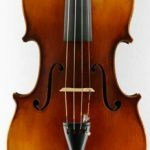 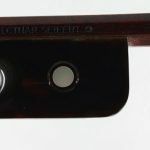 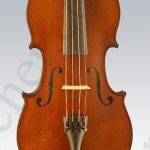 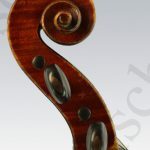 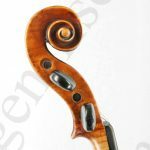 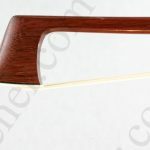 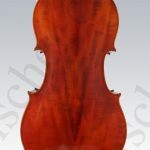 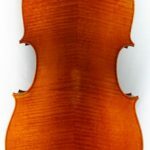 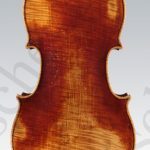 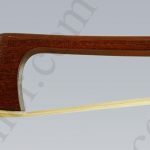 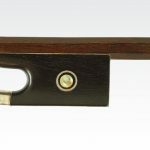 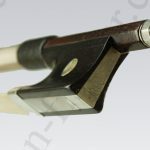 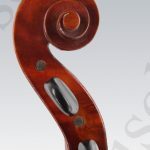 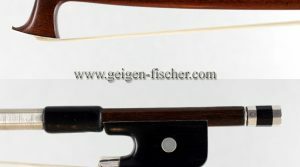 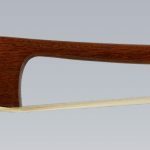 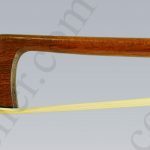 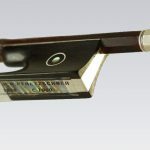 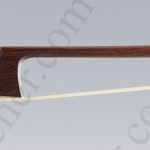 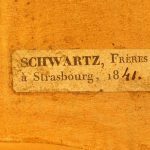 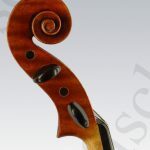 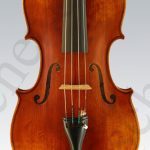 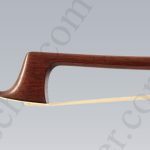 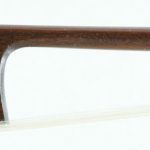 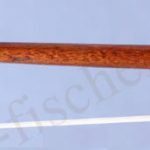 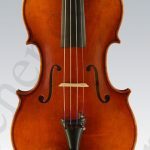 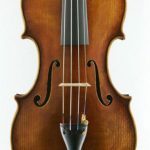 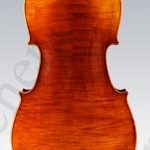 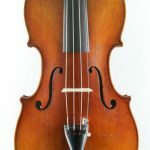 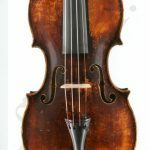 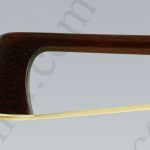 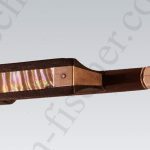 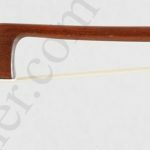 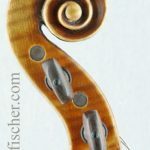 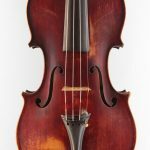 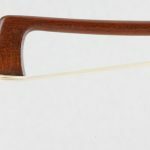 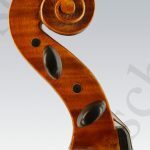 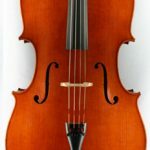 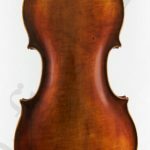 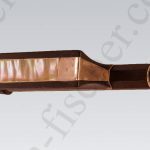 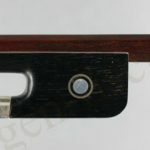 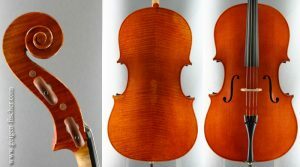 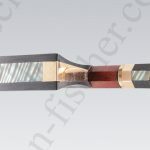 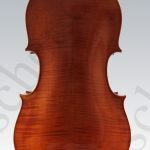 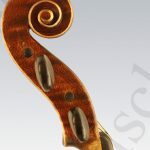 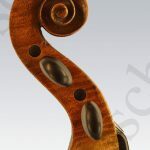 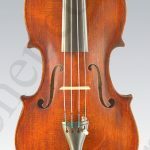 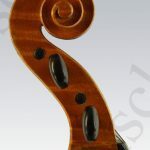 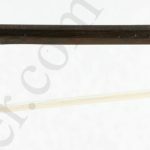 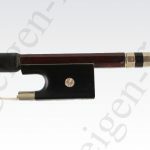 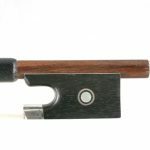 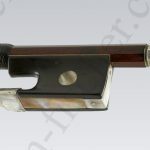 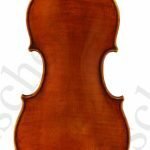 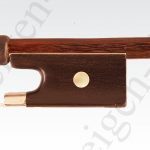 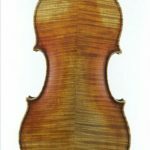 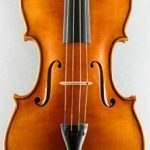 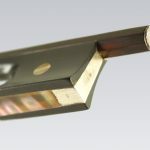 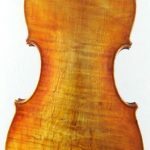 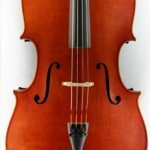 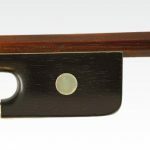 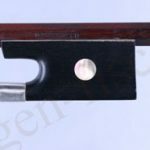 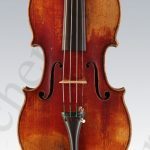 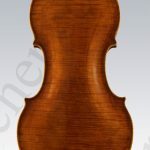 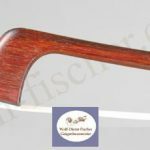 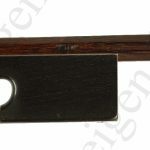 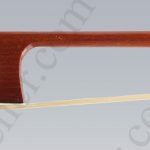 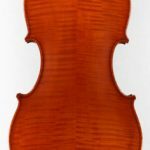 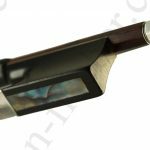 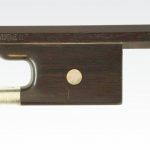 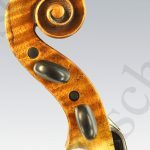 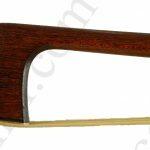 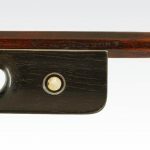 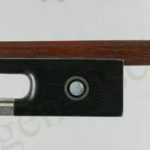 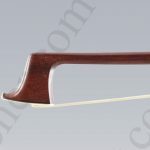 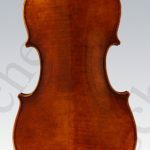 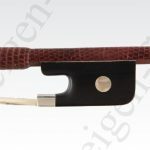 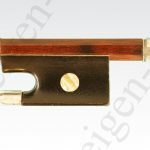 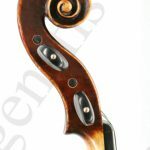 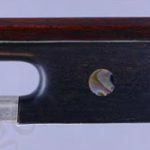 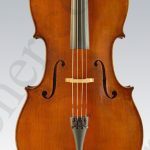 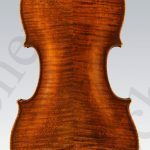 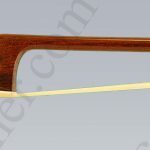 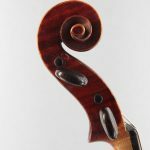 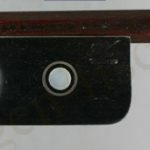 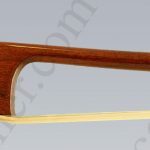 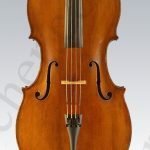 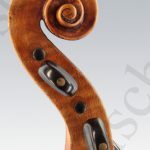 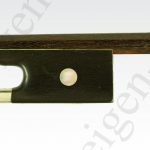 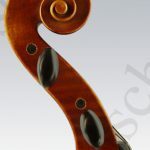 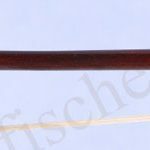 These days, violin bows from George Frédéric Schwartz are very much sought after, since they are amongst the best French violin bows from the early 19th century. 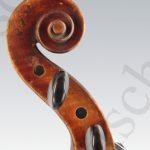 This fine instrument has been played intensely and is still in very good condition. 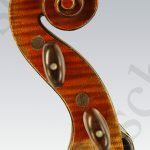 It has a soft, round and balanced sound on all four strings. 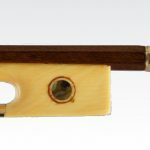 French violin bow by Claude Joseph Fonclause. 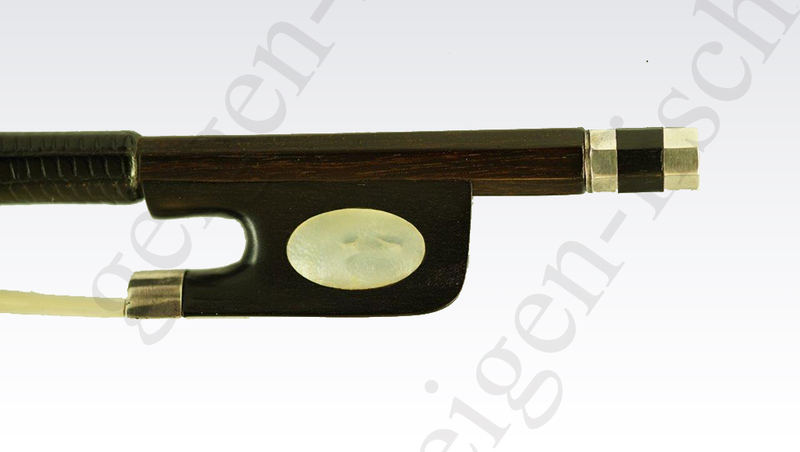 Weight: 57,5 grammes. 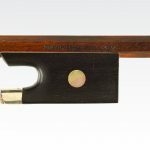 A fine French violin bow by Pierre Simon from 1865. 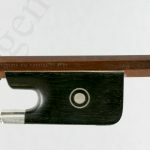 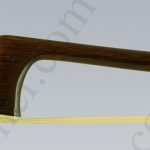 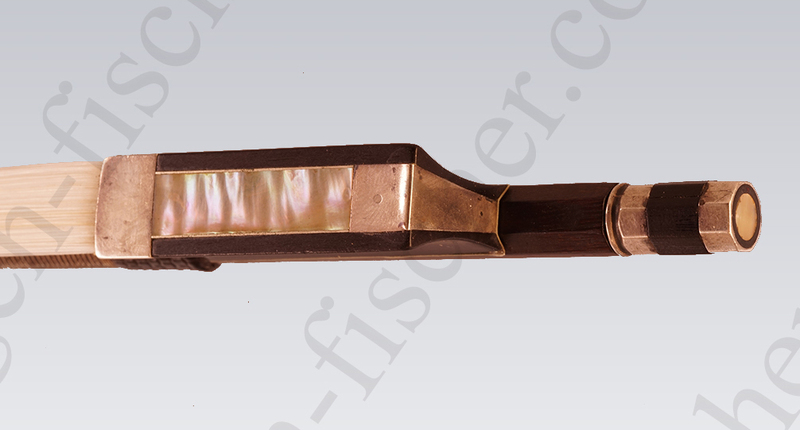 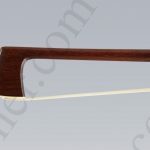 French cello bow by André Vignéron (Fils) from 1910. Viola crafted by Lena Fischer in our Munich workshop in 2006, according to a classic model by Jean-Baptiste Vuillaume (1846). 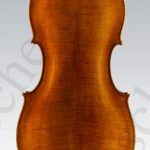 As far as we can tell this is the largest known viola model by Jean-Baptiste Vuillaume. 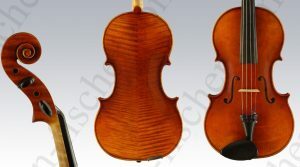 Viola crafted by Lena Fischer in our Munich workshop in 2006, according to a classic model by Jean-Baptiste Vuillaume (1846). 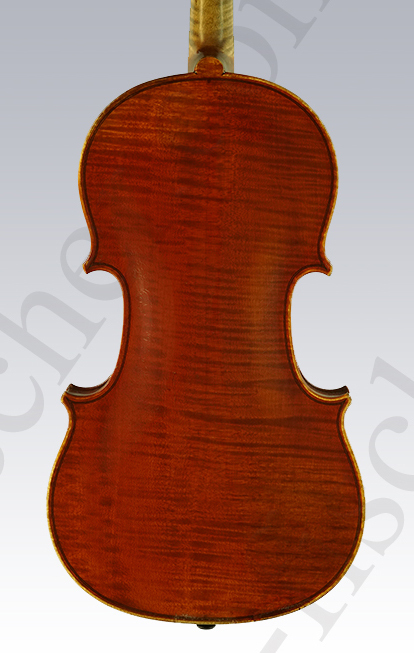 This viola has slightly higher ribs, which give the instrument an overall softer and darker voice. 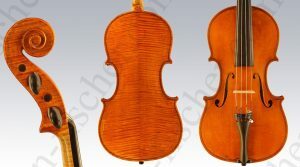 This Viola was crafted by Susanne von Bechtolsheim in our Munich workshop in 2007, according to a master viola by Tommaso Carcassi (Florence 1754). 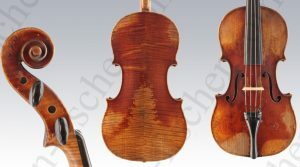 The orginal viola is illustrated in the book Masters of Italian Violin Making (Meister Italienischer Geigenbaukunst) by Walter Hamma. 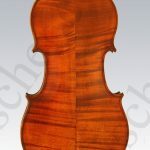 This viola was crafted by Karoline Schütze in our Munich workshop in the year 2002, according to a masterpiece by Tommaso Carcassi (Florence) from 1754. 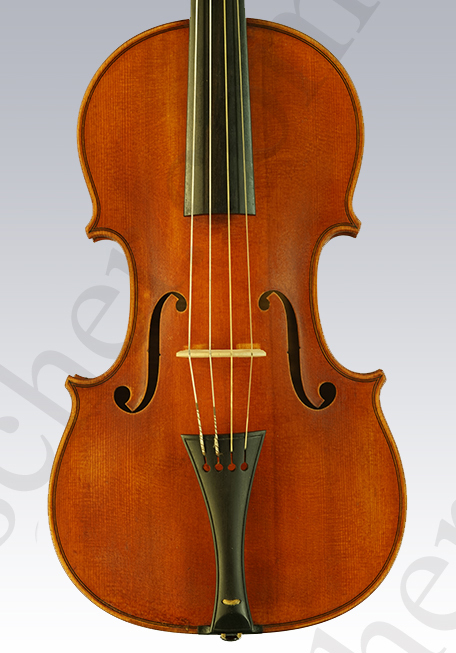 The original instrument itself is owned by one of our customers, who we had also crafted a copy viola for. 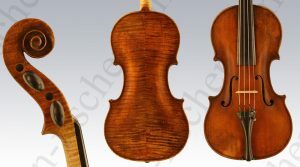 Viola from our workshop made by Lena Fischer. 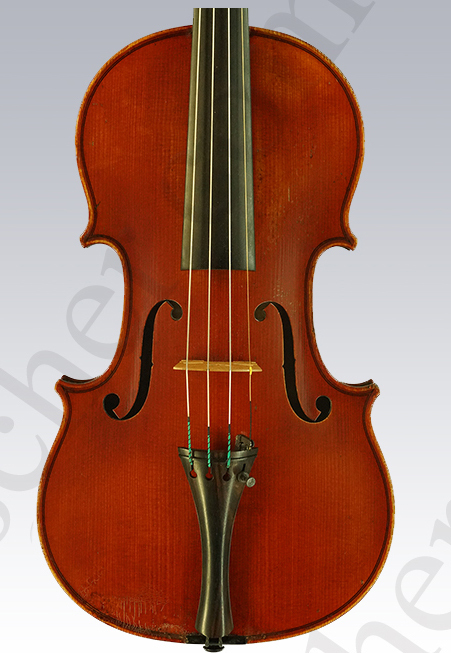 This viola is a free copy of a very famous instrument by Girolamo Amati from 1625. 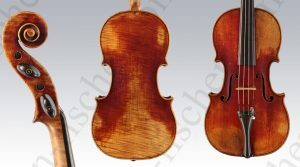 The book The Girolamo Amati Viola in the Galleria Estense (2014) features very impressive images by of the Amati viola by Jan Röhrmann. 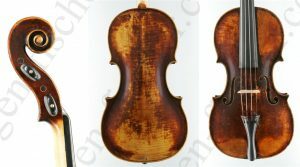 This violin also has a personal ink inscription on the inside of its back. 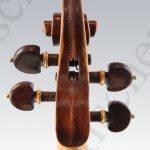 Bernard Millant describes this instrument as a rare and good piece of this master. 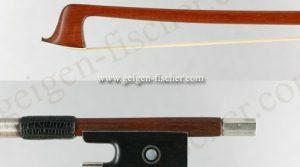 French violin bow by Victor Fetique from 1915. 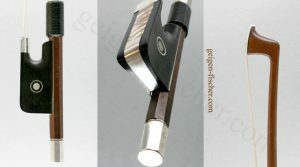 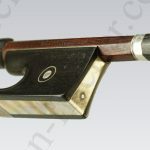 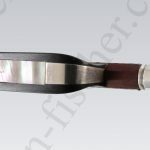 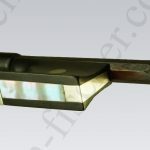 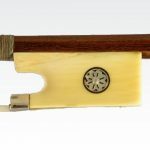 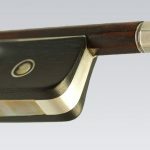 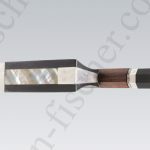 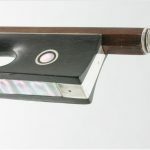 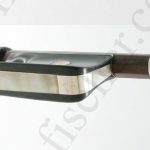 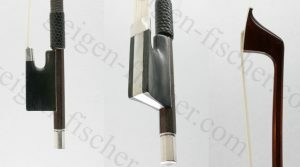 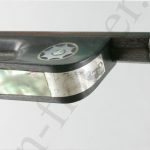 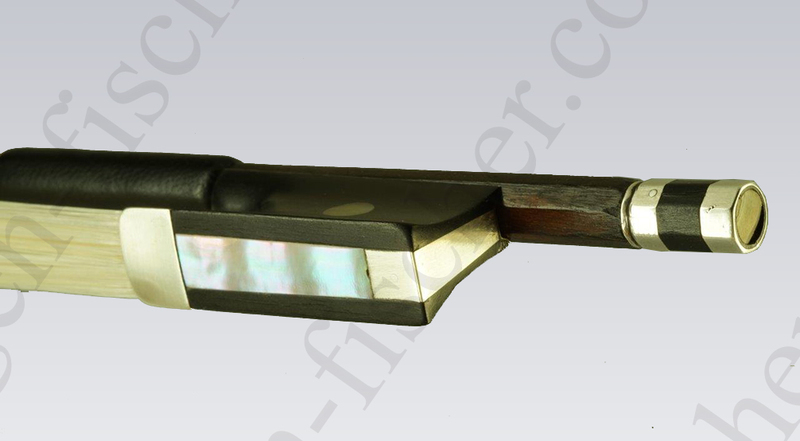 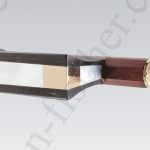 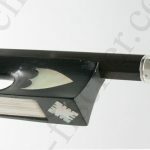 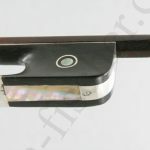 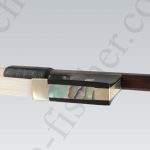 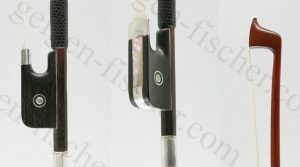 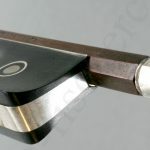 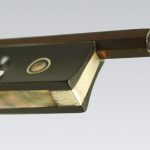 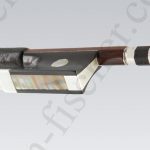 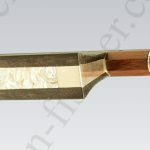 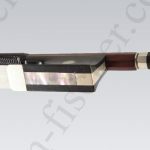 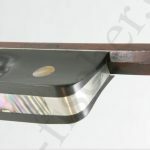 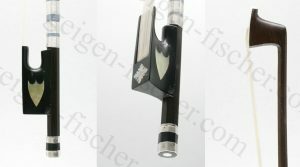 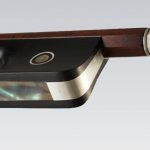 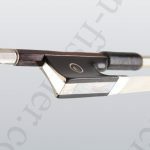 The bow has a very good stick and a very attractive price as the it is mounted on new silver. 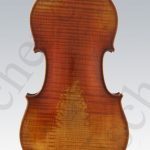 Victor Fetique has worked for many violin makers who have stamped the bows with heir own names. 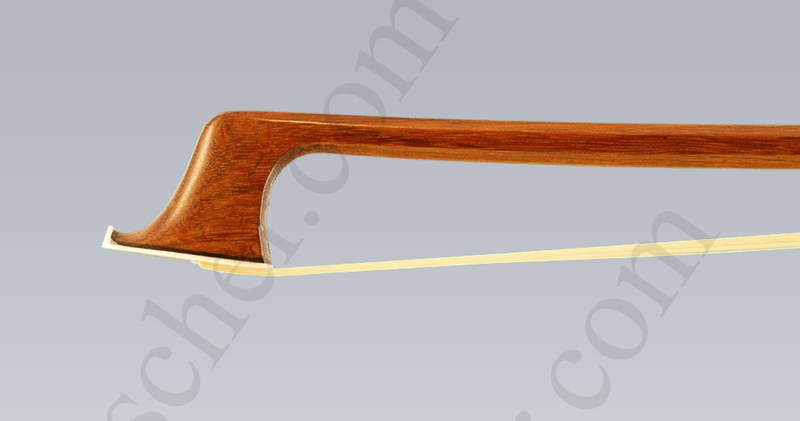 This bow is stamped Paul Jombar, a Parisian violin maker who sold this bow at the time. 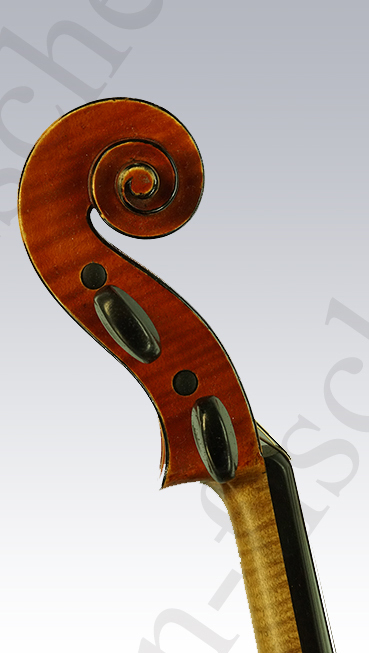 This violin is a Stradivari model by Jules Grandjon of Mirecourt France from 1850. 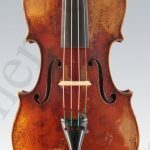 Jules Grandjon was born in 1824 in Mirecourt and made almost exclusively violin copies. 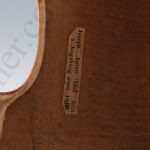 He also copied paper labels of his instruments. 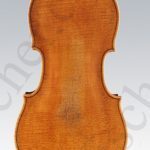 This violin is labelled Antonius Stradivarius Cremonensis Faciebat anno 1715 This beautiful large and flat violin has very wide and filling sound. 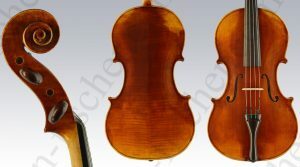 The violin is made as a copy of Guarnerius. 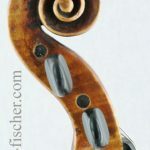 Anton Buettner was born in Prag in 1903 and worked in Vienna from 1927 onward. 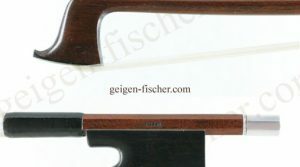 Anton Buettner is known for his excellent copy work. 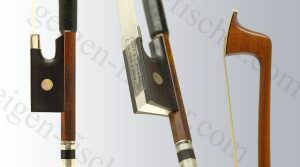 After the second world war, he settled in Augsburg where hi died in 1974. 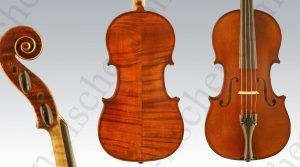 This violin is featured in the 2012 year book of the German violin maker association (VDG) in connection with an exhibition about Augsburg violin makers. 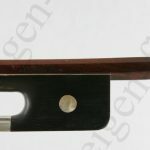 French violin bow École de Simon from 1870. 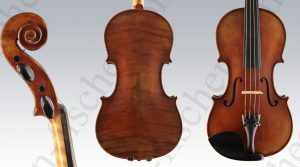 German violin by Leopold Widhalm from 1806, with original label. 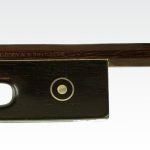 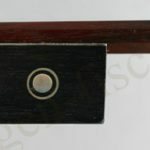 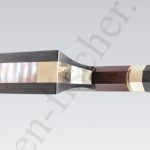 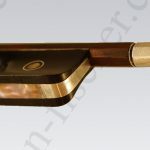 English violin bow by William E. Hill (London) from 1929. 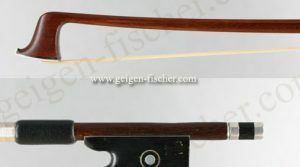 This bow is silver-mounted and weighs 59 gramme. 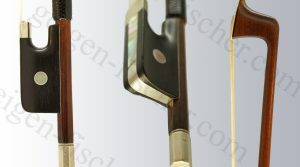 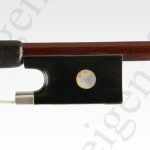 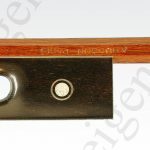 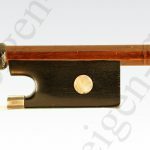 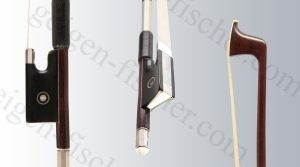 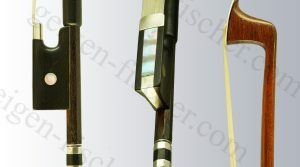 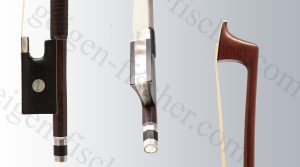 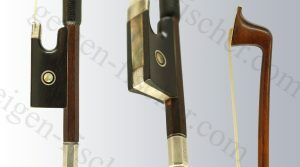 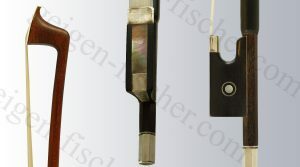 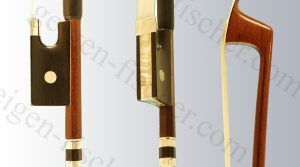 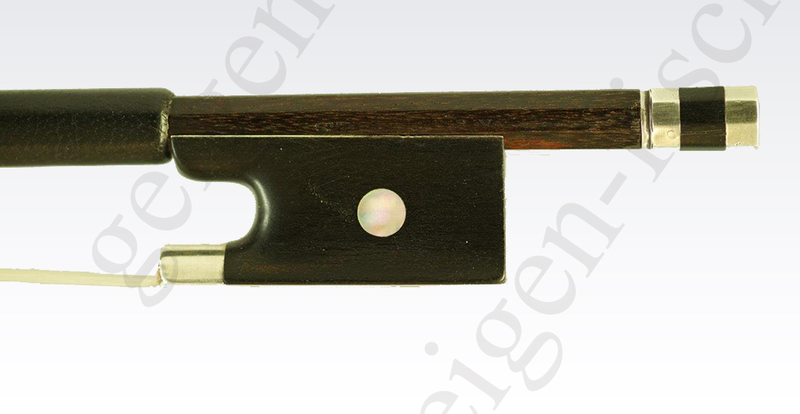 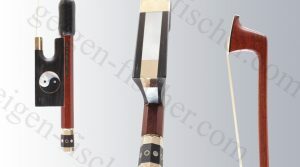 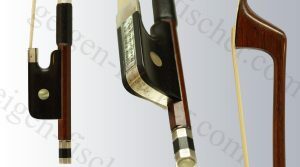 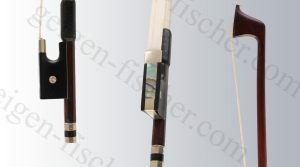 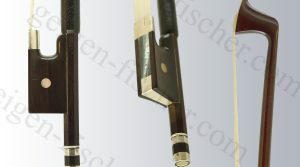 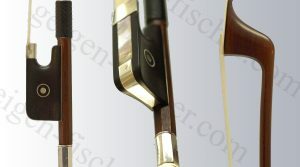 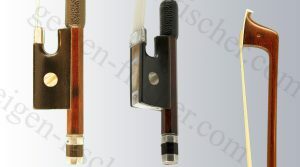 German violin bow by Wilhelm Knopf from 1910. 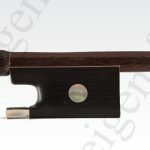 A fine French violin bow by the famous bow maker Étienne Pajeot from 1825. 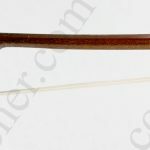 As not all parts of the bow are original, it has a very good price. 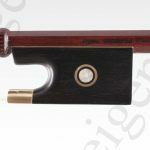 The bow weighs 57 gramme. 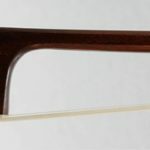 Fine French viola bow by Louis Piernot. 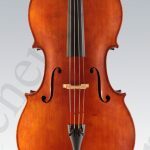 Piernot was born in 1880 and worked for many years at Joseph Arthur Vigneron. 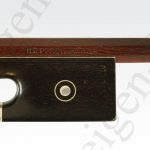 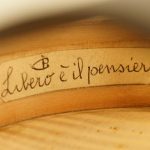 Later Louis Piernot made bows for many famous violin makers. 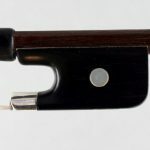 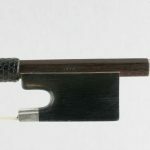 Bows from his early period, such as this one from 1930, are very sought-after. 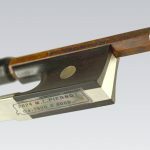 The bow is stamped L. Piernot a Paris. 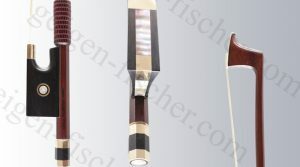 It has an edgy stick and weighs 69 gramme. 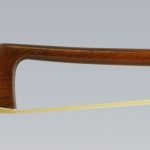 French cello bow by Alfred Lamy (Père) from 1915. 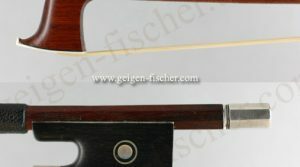 Excellent French cello bow by Alfred Lamy (father) from 1920. 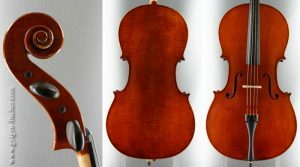 Alfred Lamy lived in Paris until 1919, in his earlier days he specialised in making lighter violin and cello bows in the Voirin style. 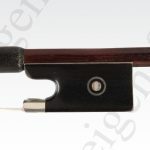 This cello bow is from his later days and has a weight of 78.5 gramme, with a very solid stick. 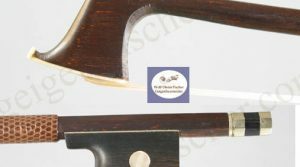 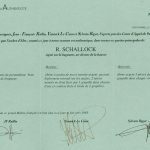 The certificate by Bernard Millant confirms the very good condition (Trés bon etat de conservation) this fine cello bow is in. 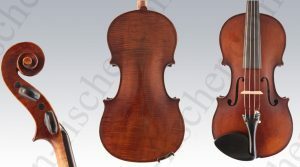 German viola by Max Amberger in perfect condition. 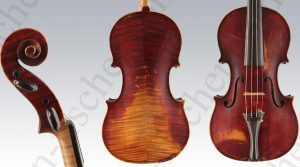 This viola is labelled Max Amberger. 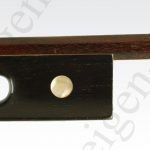 Hoflieferant. 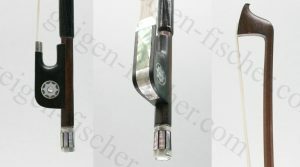 München, Müllerstrasse 8. 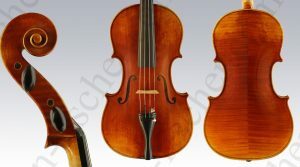 The viola resembles the style of the Mittenwald instruments from the time around 1900. 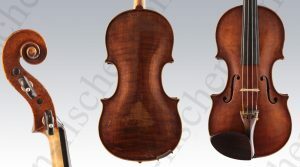 Possibly Max Amberger let this viola be made in Mittenwald before selling it in his Munich violin shop. 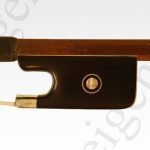 French violin bow École de Simon from 1865. French violin by Francois Caussin, Neufchâteau ca. 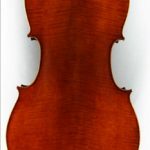 1855-1860. 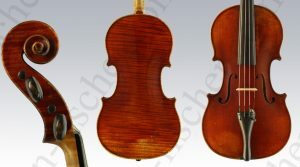 The violin is not labelled which is not unusual for the work of Francois Caussin. 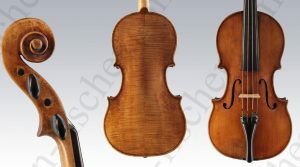 For many of his works, Caussin used labels of other famous violin makers, including J.B. Vuillaume. 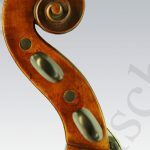 Most of Caussin’s instruments were copies, which is why it is difficult to certify his work. 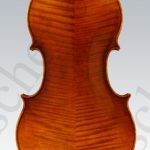 Fine French violin from the workshop of Jacques Pierre Thibout, Paris ca. 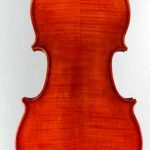 1840 – 1850. 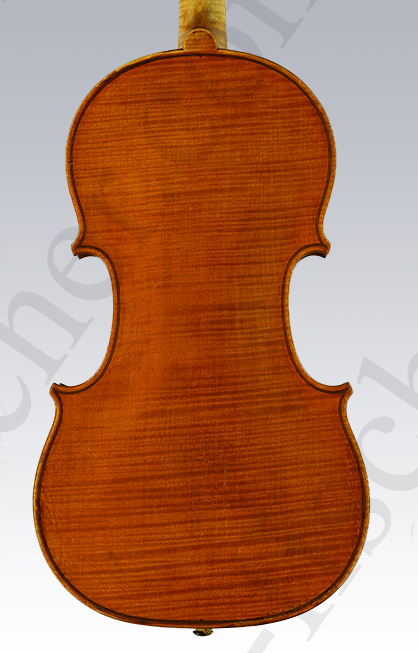 The violin is labelled Antonius Stradivaruis 1713, as it was common among Parisian violin makers of the time. 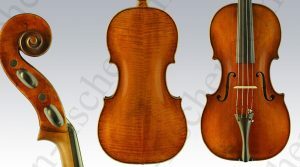 For example, J.B. Vuillaume, the most famous violin maker of the 19th century labelled his instruments similarly. 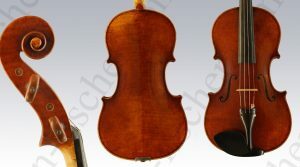 The violin is well preserved and has been extensively played over the years. 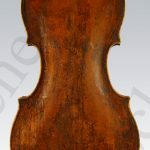 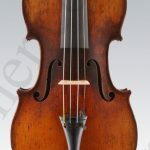 Excellent French soloist violin from by Francois Pique from 1805. 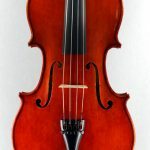 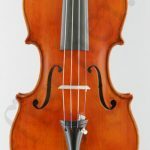 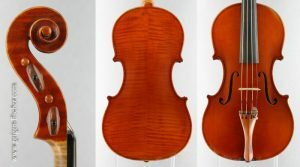 This violin was made during Francois Pique’s peak period and has a wide, carrying sound with an Italian tonation, balanced on all four strings. 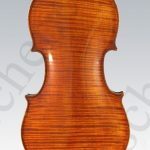 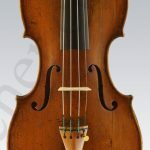 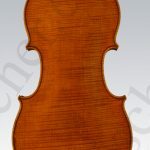 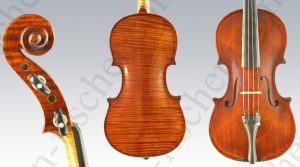 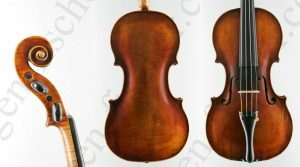 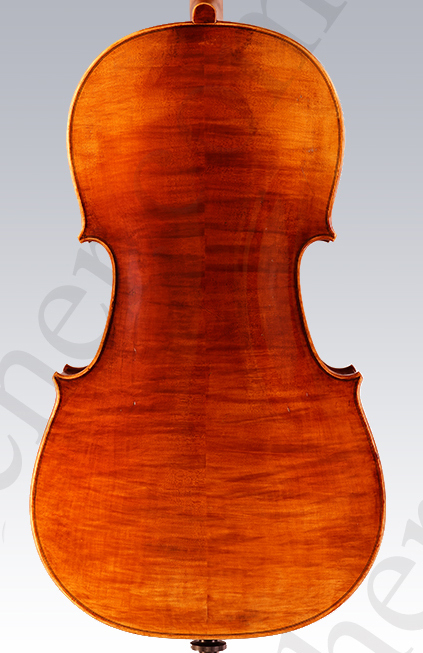 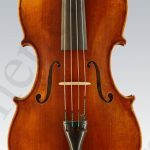 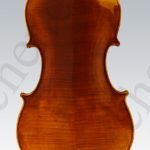 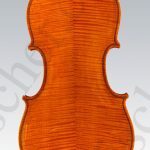 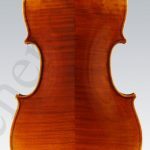 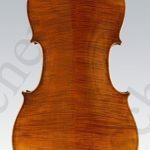 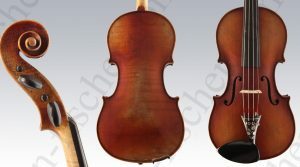 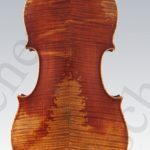 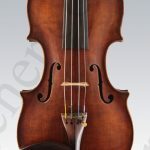 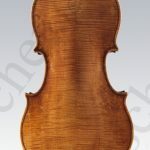 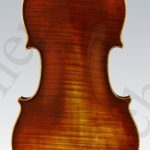 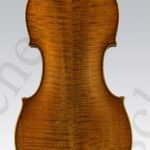 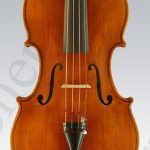 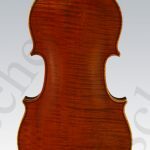 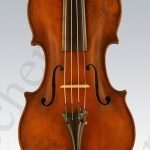 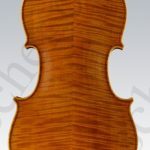 An interesting French student violin by Luthes (Paris). 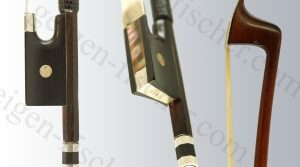 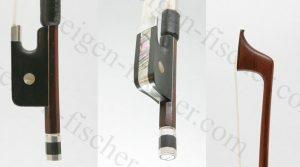 The violin was enhanced and made ready to play in our Munich studio. 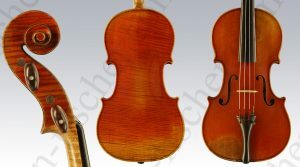 German student violin from the Saxon violin maker town of Markneukirchen. 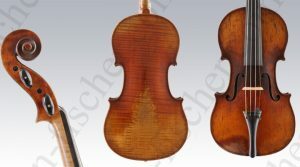 The violin was made in the early 20th century, around 1920. 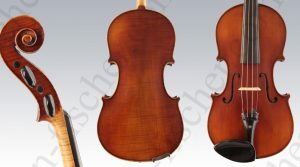 This violin is perfectly suited for a beginner with a taste for fine old violins. 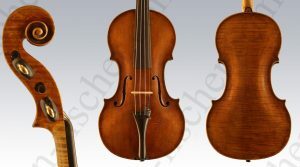 German violin by Franz Knitl (Freising) from 1785. 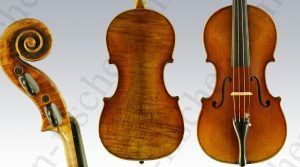 A very well preserved violin by Franz Knitl, Royal violin and lute makers in Freising near Munich. 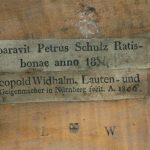 Mittenwald born Franz Knitl lived from 1744 to 1791. 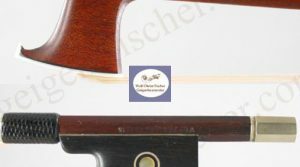 The violin carries an original dated label. 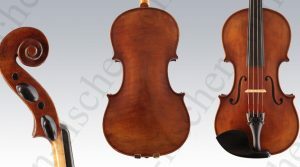 German violin by Joseph Anton Haff (Augsburg) from 1850. 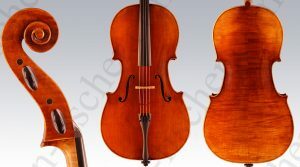 A similar instrument by Joseph Anton Haff is featured in the year book of the German Violin Maker Association – Verbandes Deutscher Geigenbauer (VDG) on page 54. 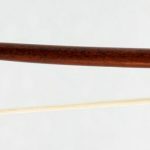 French Violin bow by Francois Nicolas Voirin from 1880. 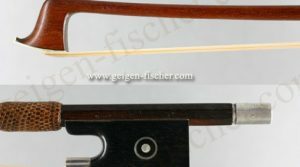 Francois Voirin is one of the most famous Parisian bow makers in the second half of the 19th century. 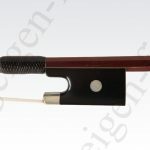 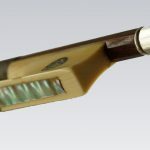 This is a very fine cello bow with an excellent sound. 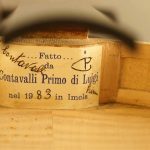 Its weight of just 74 grammes is typical for this period. 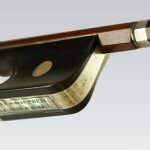 French violin bow by Étienne Pajeot from 1825. 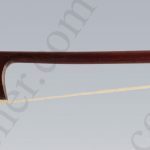 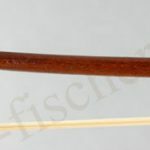 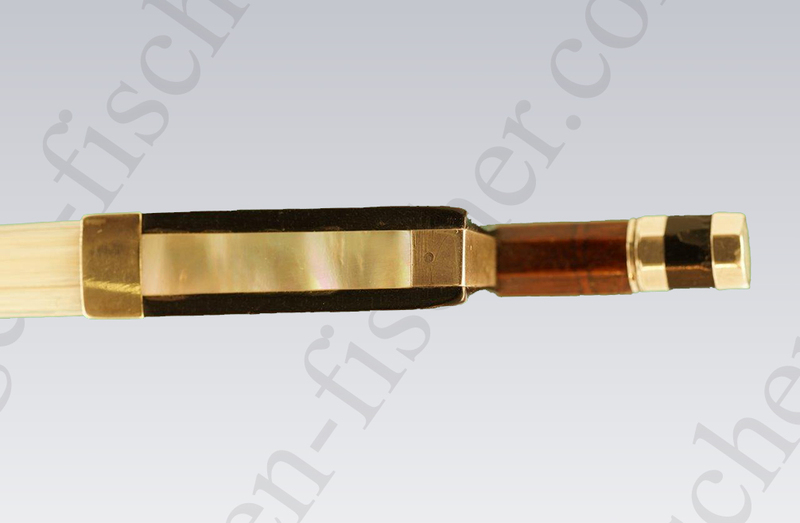 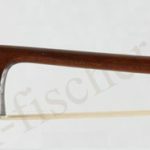 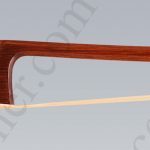 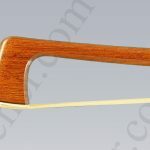 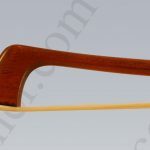 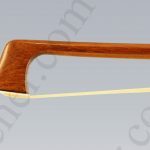 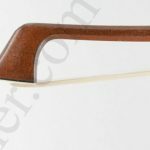 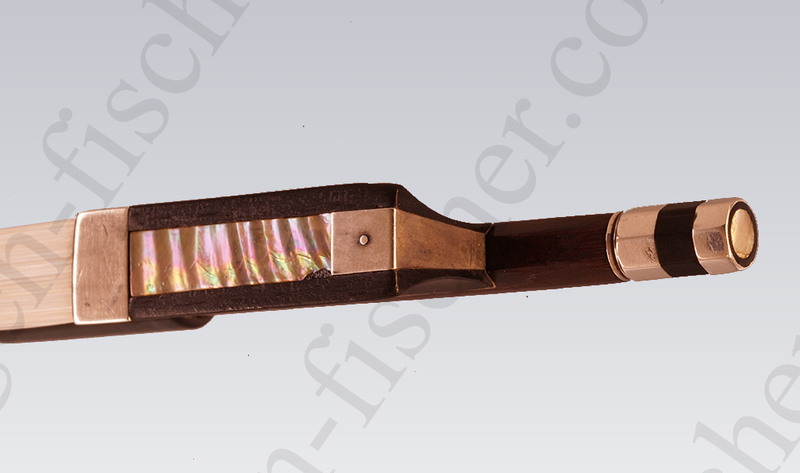 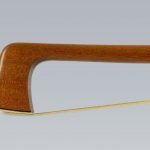 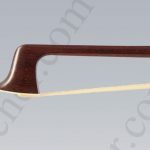 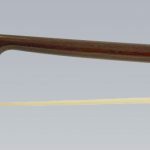 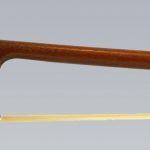 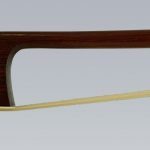 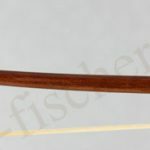 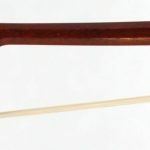 French violin bow by Francois Lotte (father), from 1950 made for Amati Mangenot in Bordeaux. 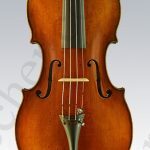 Francois Lotte was born in 1889 and began freelance work in Mirecourt in 1925. 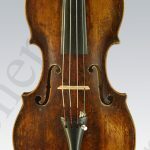 Francois Lotte worked for the most famous Parisian violin makers, including Marcel Vatelot, Roger und Max Millant. 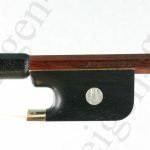 The bow weighs 69,5 grammes. 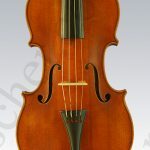 French violin by Andréa Castagneri from 1745. 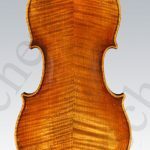 Andréa Castagneri (1696 to 1747) lived and worked in Paris and was the son of Luthier Paolo Castagneri who immigrated the 17th century from Cremona / Italy. 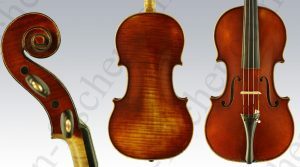 This violin is a typical old Parisian work (École vieux Paris). 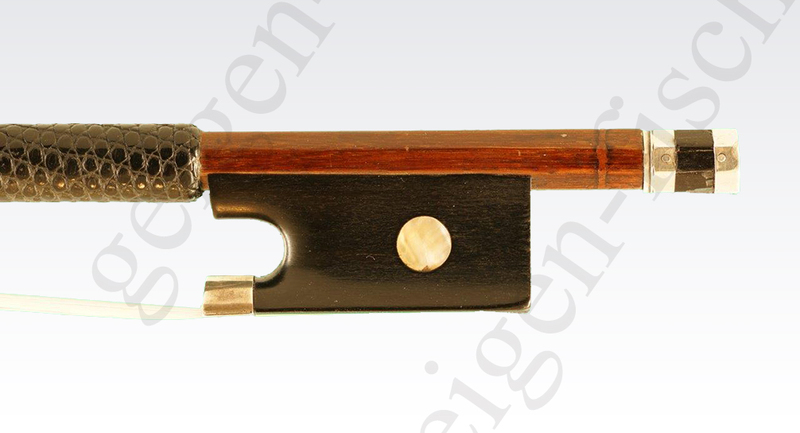 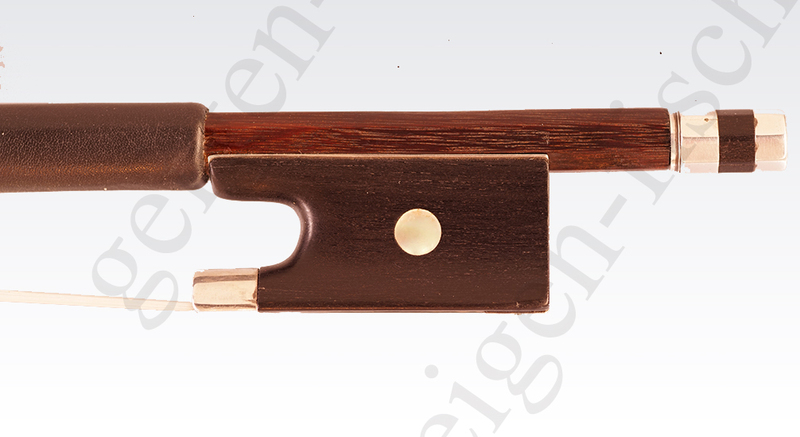 This violin bow is an early work of the great French master bow maker Meisters Etienne Pajeot. 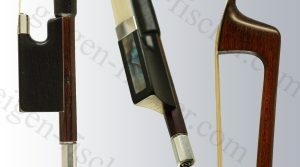 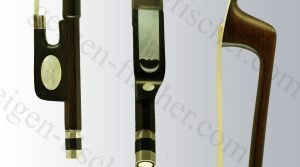 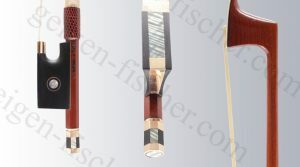 This violin bow is featured in the book L’Archet (Edition 2, page 25). 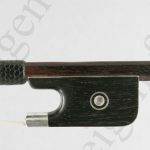 The bow comes with a second ebony frog. 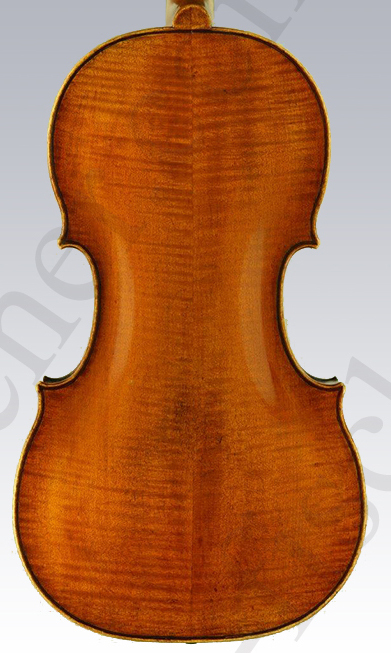 Anselmo Curletto No 122, Turin 1938. An Italian violin in perfect condition by Anselmo Curletto (1888 – 1973). 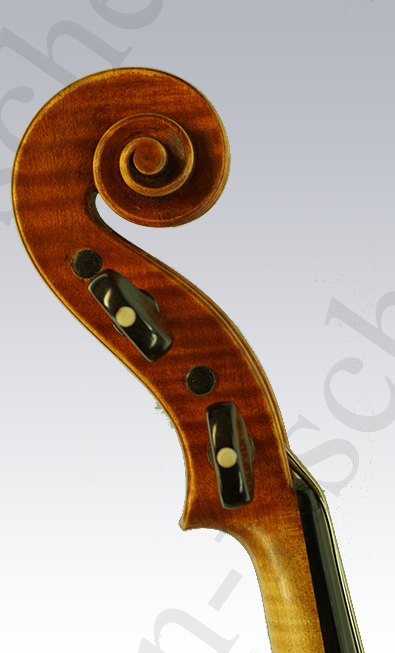 This violin strongly resembles the work of Anselmo’s former Master Enrico Marchetti (1855-1930). 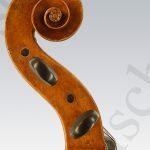 This fine instrument is a typical work from Turin from the first half of the 20th century. 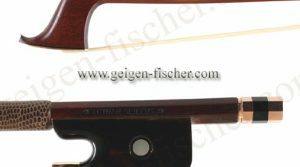 The violin carries the original label and stamps on the inside of the back and on the lower rib. 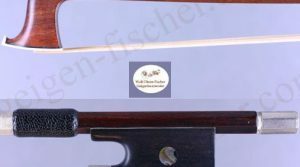 French violin bow by Louis Morizot père (Vater) from 1920. 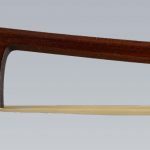 This special bow was made during the period when Louis Morizot worked for Eugène Sartory. 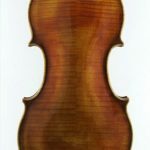 Morizot père and later Louis Gillet worked for Eugène Sartory. 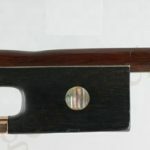 French violin bow by Joseph Voirin from 1870. 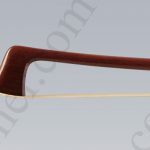 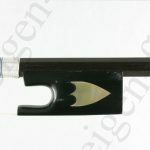 This bow is a very rare piece from Voirin, made according to a model from Lupot. 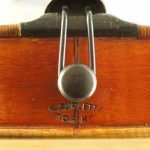 This violin bow is stamped Lupot. 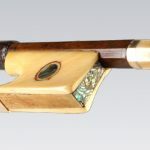 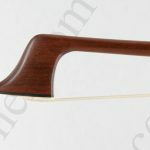 Joseph Voirin is the younger brother of the famous French bow maker Francois Nicolas Voirin. 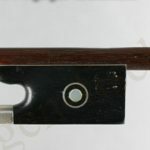 French violin bow by Louis Morizot père (father) from 1930. 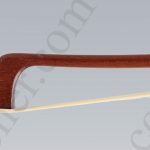 This bow was made according to a model by Nicolas Simon (“Simon FR”) and carries the Simon stamp. 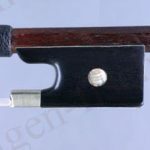 A rare French violin bow by Marc Auguste Husson from 1920. 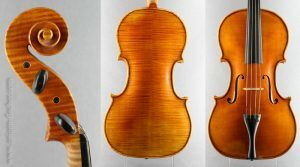 Italian Violin by Armando Piccaliani, Modena from 1926. 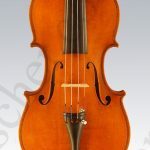 This instrument is featured in the book Modern Violin Making in the Emilia-Romagna Region by Artemio Versari, page 104/105. 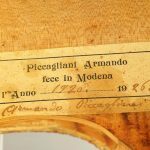 Italian Violin by Armando Piccaliani, Modena from 1926. 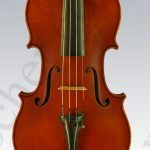 This violin is featured in the book Modern Violin Making in the Emilia-Romagna Region by Artemio Versari, , page 104/105. 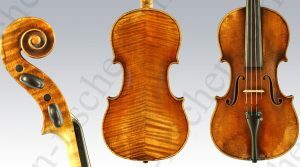 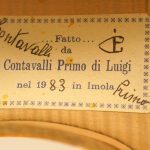 The Italian violin maker Bruno Barbieri has used very attractive maple wood for the back, rib and scroll of many of his instruments. 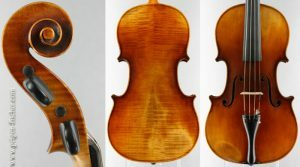 This Barbieri violin is in perfect condition and with a beautiful sound. 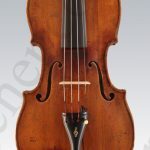 Fine German violin by Holm Viertel (Aachen) from 1914. 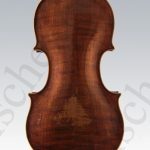 Holm Viertel was a scholar of August Riechers in Berlin and worked as violin maker in Aachen between 1896 and 1915. 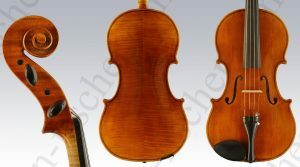 The violin is a Stradivarious copy in perfect condition and meets the requirements of professional violonists. 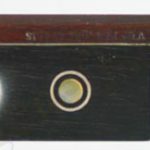 Stamp and label on the back. 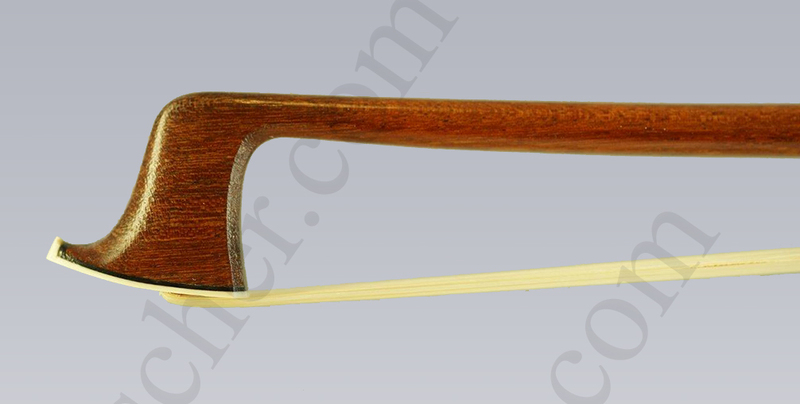 A very elegant French Cello Bow by Louis Morizot (Père) from 1925, with a fantastic stick. 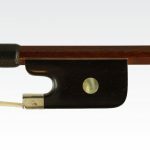 French violin bow by Marie Louis Piernot from 1920. 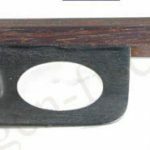 Between 1900 an 1906 Maire Louis Piernot worked at Joseph-Arthur Vigneron (Père) in Paris. 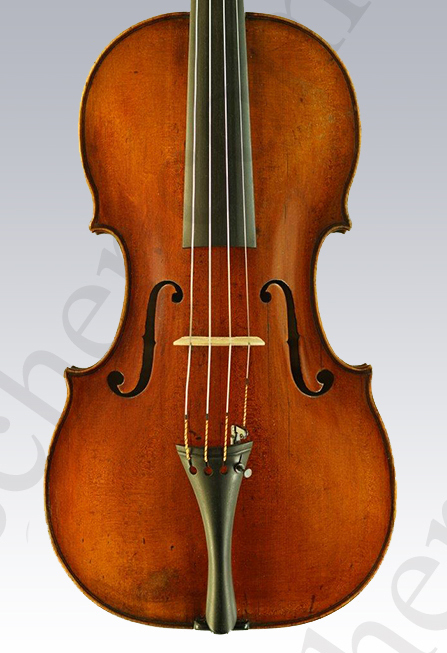 After Vigneron death Piernot continued his work at the Atelier of Léon Bernadel until the year 1923. 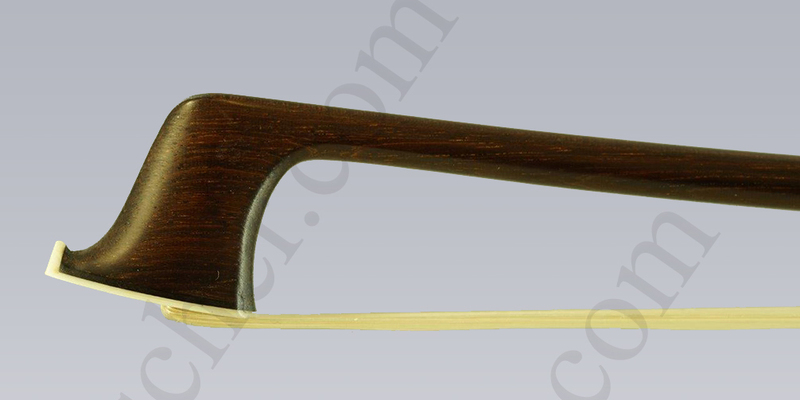 As this very well preserved bow stems from this latter period, it is stamped Léon Bernadel. 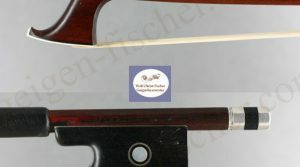 An excellent French violin bow by Louis Morizot father (pére) dated around 1935. 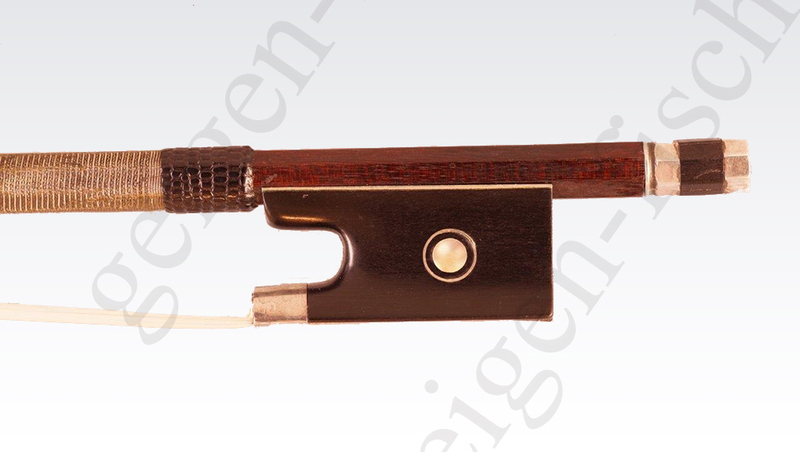 The bow was made for the Paris based violin maker Jules Lamy and therefore carries the stamp J. Lamy Paris. 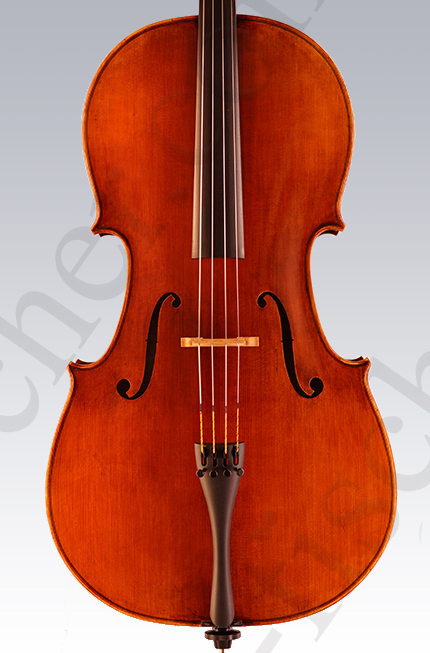 Excellent Italian viola by Bruno Barbieri with a warm, balanced and rounded sound. 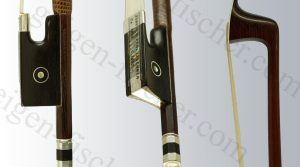 Length of back 41.9cm.